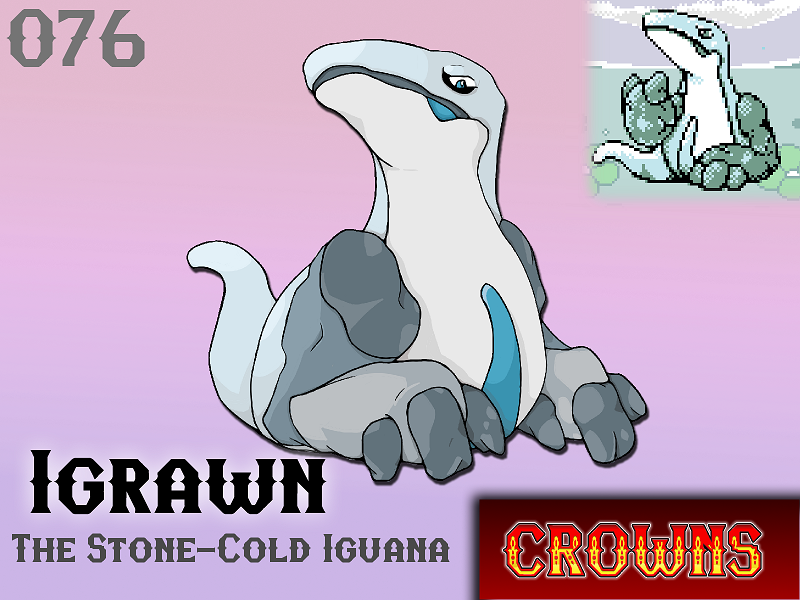 The only known natural threat to Trove, Igrawn are few in number and reside in the Cold Province. If a Trove that has gone too far north charges at this beast Igrawn will calmly extend its rock-solid arm, bringing Trove to an abrupt and crushing stop. Colliding mid-air with Igrawn's stone-cold palm sends deep cracks through the Trove's still-smiling face. In the event that the Trove is still alive, Igrawn will quickly crush the behemoth's head in its grip, before tossing the crumpled body aside. Will Igrawn make your team?